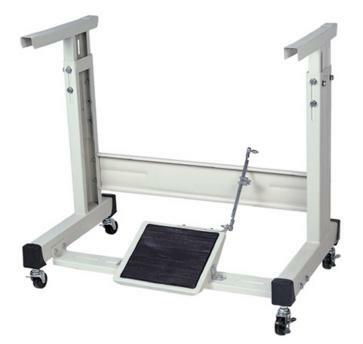 Disclaimer: Due to the weight of the table with motor, there might be some minor marring or scratches due to shipping. This is normal when shipping industrial machines because of the weight associated with the items. 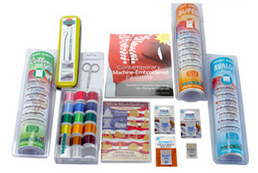 The machine performs sewing that matches a broader range of sewing items. The machine can be used for the hemming process of the sleeves and bottoms of T-shirts and for the covering process for sportswear and knitwear. It is not a specific-purpose model, but a basic one which can be used for a broader range of processes independently. The motor can be upgraded to an adjustable-speed servo motor for only $79. Simply choose the servo motor upgrade option from the drop down menu during checkout. 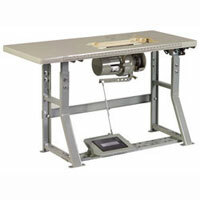 Table and Motor may differ from the image shown. 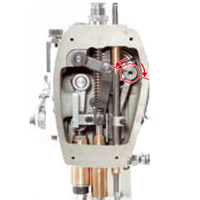 The newly-developed metal cover for the looper thread cam unit also covers the rotating part of the looper thread cam shaft, thereby preventing the looper thread from twining around the looper thread cam shaft. 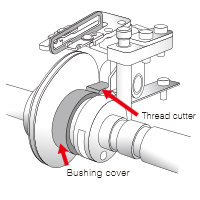 Even if the looper thread twines around the bushing cover, the newly-installed thread cutter cuts the thread to prevent a long piece of looper thread from twining around the cover. 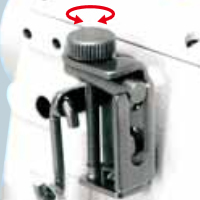 Elastic material or delicate material can be sewn with the presser foot kept slightly raised. 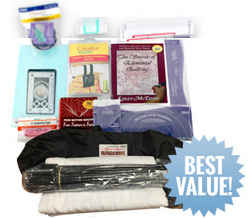 This effectively helps reduce the degree of slippage, warpage and damage of the material. It is now possible to change over the stitch type, such as elastic soft-seams for inner wear and high-quality well-tensed seams for outer wear. The stitch type can be changed over (soft-seams/well-tensed seams) simply by changing the thread path. Clutch motors operate at a fixed speed, typically between 1725 - 3450 rpm, depending on the type of machine. Servo Motors on the other hand are speed adjustable. The two major advantages of the Servo Motor are that you can control the speed of the motor and that the motor is completely silent when the pedal is not engaged. 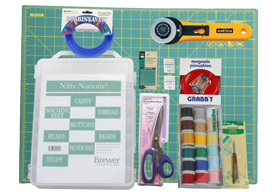 Most of our customers find that the sewing machine is much easier to control with a Servo motor because of the speed control. 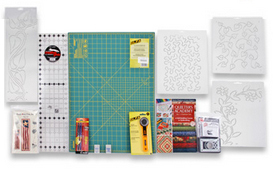 This is especially helpful for beginner sewers but also for projects that simply don't require high speed stitching. 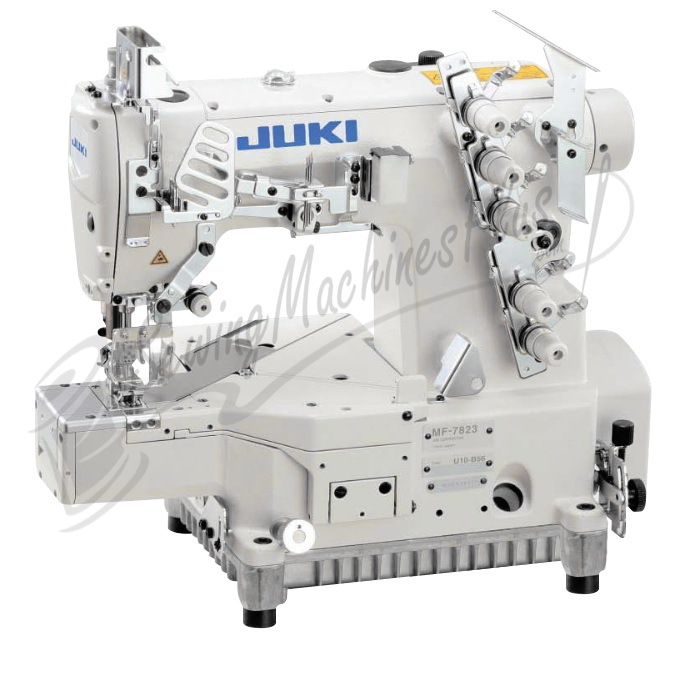 Juki MF-7923 - 3 Needle Coverstitch Industrial Machine, Cylinder Bed w/ Table & Motor!